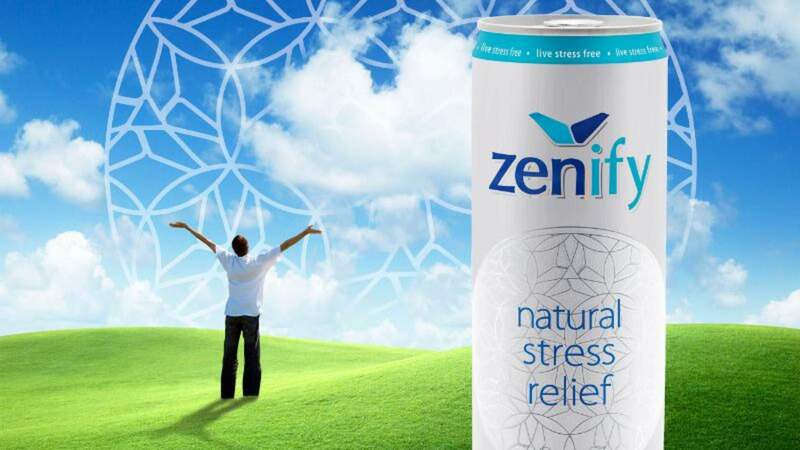 Zenify, the all-natural Stress Relief Drink, has announced its national launch at Natural Products Expo East. “Zenify is the most effective stress-relieving drink ever formulated,” said Adam Rosenfeld, Founder and Formulator. “It has only 50 calories, no caffeine, and contains 25 times more stress-relieving antioxidants than green tea. Just as importantly, the drink tastes great. It’s clean and extremely refreshing with hints of passion fruit, peach and mango. "We didn’t fairy-dust our drink,” added Rosenfeld. Each can contains 350mg of L-Theanine and 350mg of GABA, which is 50% more than any other stress-relief drink in the market. L-Theanine and GABA are naturally-occurring amino acids found in tea, tomatoes and chocolate that have been clinically shown to increase alpha waves in the brain, elevate serotonin and dopamine levels, and reduce stress without drowsiness. The company partners with The Coexist Foundation to increase understanding and reduce conflict throughout the world. Zenify donates 5% of its profits to the nonprofit whose cause was first made popular by Bono of the band U2. Zenify is the first corporate partner of The Coexist Foundation.